New in Business? Have a limited marketing budget? Want to train your sales team ? If you are looking for easy and cost effective marketing strategies to engage your customers and grow your revenue, this seminar is for you! It includes: - Inbound Marketing - Targeting - Networking Strategies - B2B social Media - Helpful Tools ***MOCK NETWORKING SESSION with all DO's and DON'TS*** A perfect seminar if you are a small business owner, sales / marketing professional, solo entrepreneur or just about anyone who would like to learn the tricks of the trade. This is aFREEevent. Light refreshments will be served at the event. 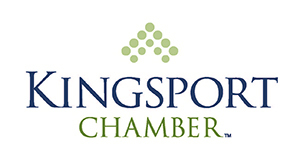 Speaker(s): Jeremy Laduke; Owner/Chief Storyteller at Epic Nine Marketing Co-Sponsor(s): KOSBE, Your Kingsport Chamber, TSBDC at ETSU Kingsport Affiliate Office, Epic Nine Marketing The cooperative agreement between KOSBE and East Tennessee State University is partially funded by the U.S. Small Business Administration (SBA). SBA’s funding is not an endorsement of any products, opinions or services. SBA funded programs are extended to the public on a non-discriminatory basis. Additional funding is provided by the Tennessee Board of Regents and the state of Tennessee. Reasonable accommodations for persons with disabilities will be made if requested at least two weeks in advance. Please contact Aditi Bhave — 423.392.8825; abhave@tsbdc.org; 400 Clinchfield Street, Suite 100, Kingsport, Tennessee 37660.